Tel. +34 944 44 86 98. Monday to Thursday from 10:00 am. to 1:30 pm. and from 4:00 pm. to 6:00 pm. Monday to Friday 10:00 am. to 1:30 pm. (Except appointments arranged in the afternoon for groups). Friday from 10:00 am. to 1:30 pm. Evenings closed. 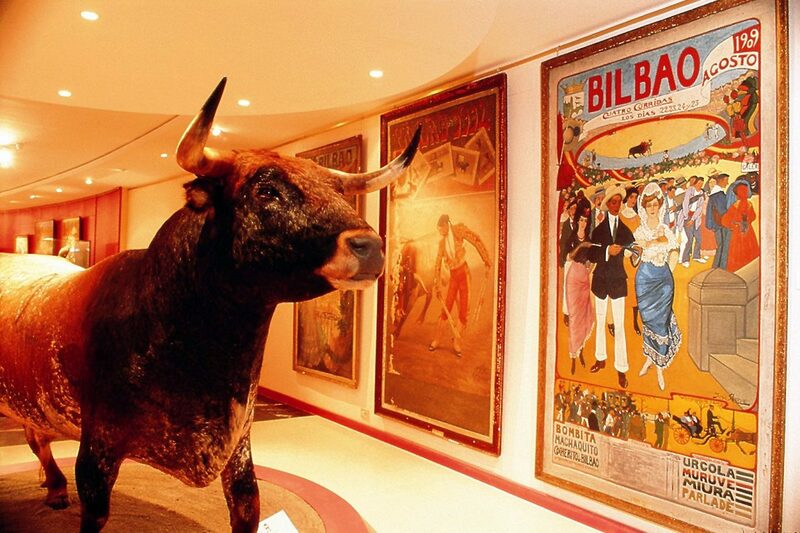 The Bullfighting Museum of Bilbao consists basically of a single didactic unit that sets out eight periods in the History of Bullfighting: bullfighting in the Enlightenment, bullfighters of the ’98 and the “Guerrita” era, the so-called golden age (Joselito-Belmonte), the so-called silver age of the generation of the Second Republic, the “Manolete” era, the fifties and the “El Cordobés” era. As the collection grows, the museum will meet the targets set out by its founders and a library, newspapers and periodicals library and video library will also be added.